Canadian kids have seen a significant increase from the Tooth Fairy this year. The Tooth Fairy sure loves Canadian kids! 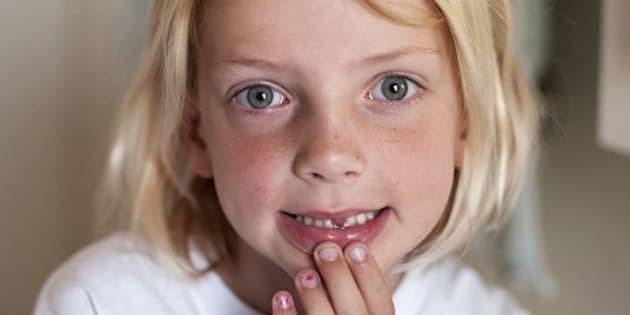 According to a Visa Canada survey, children under the age of 13 are receiving a 23 per cent raise for their teeth this year, jumping from an average of $2.80 to $3.44. At this rate, kids could earn nearly $70 for a full set of baby teeth in 2015! Compared to the same study done in the U.S., American kids only receive $2.19 per tooth, which is a 6 per cent decrease from 2014. Surprisingly, the Canadian Tooth Fairy shells out as much as $20 per tooth. The survey found that 5 per cent of children can expect this big pay out this year, while 30 per cent can expect the classic toonie. The study also revealed that the Fairy is most generous in Quebec, giving lucky kids an average of $4.08 per tooth. The Prairies and Ontario follow close behind, with an average of $3.59 and $2.95 per tooth, respectively. Another Tooth Fairy Index conducted by non-profit organization Delta Dental found that tooth rates are slightly higher. The data states that on average, Canadian kids receive $5.74, while American kids receive $4.37. Either way, it seems the Tooth Fairy favours kids up North! How much does the Tooth Fairy leave in your home?